It has come to our attention that officials at the Stan Cassidy Centre for Rehabilitation have unilaterally decided to stop accepting referrals of pediatric patients with Autism Spectrum Disorder (ASD). 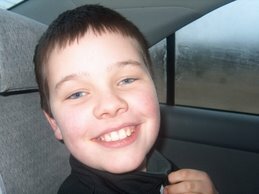 Our understanding is that currently 20% of the pediatric referrals to Stan Cassidy are for those with ASD. Needless to say, if this decision is allowed to stand, it would be a devastating development for those families that rely on this centre for services such as speech and occupational therapy. These families would be left without services in some cases and forced to fend for themselves. It would also leave a hole in an already insufficient network of services for individuals with ASD. We find it unacceptable that the Autism community was not consulted on this decision. We request that this decision be reversed until such time as we in the Autism Community have had an opportunity to make the case that this decision will unduly punish many individuals who rely on the treatment they receive at the Centre. I would respectfully request an immediate meeting with members of the Autism Community including representatives from the Autism Society of New Brunswick to discuss this matter. Your prompt attention to this issue would be greatly appreciated. 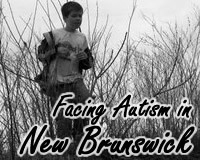 In New Brunswick parents facing the realities of autism disorders grouped together, at times under the name FACE (Family Autism Centre for Education) and most often under the name Autism Society New Brunswick (ASNB) to advocate successfully for evidence based autism services. One substantial accomplishment of NB's parent advocacy movement, which began with the letter above from then ASNB President Luigi Rocca, was the revival of the autism team at the Stan Cassidy Centre. This facility provides a range of services needed by many autistic children and youths with complex autism disorders and associated conditions. 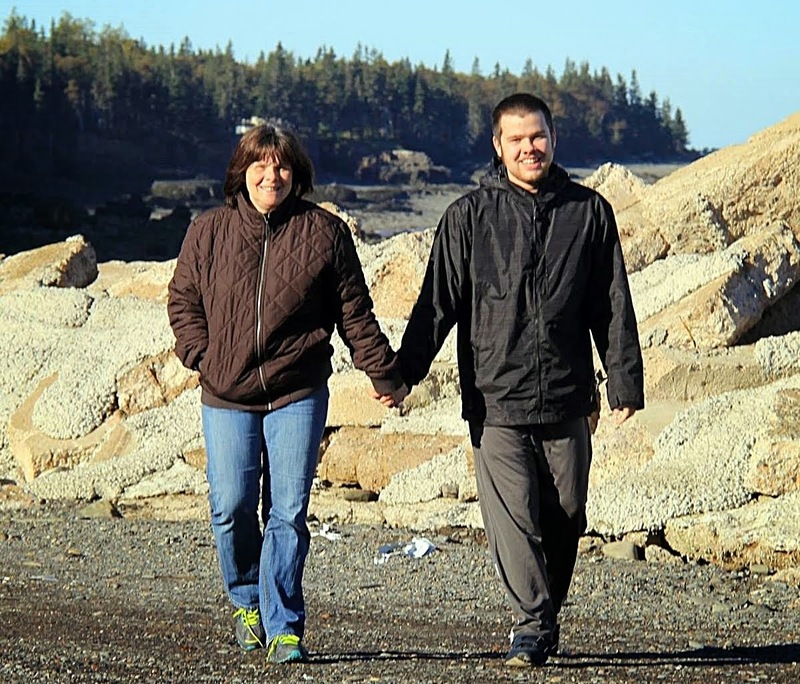 An extension of the Stan Cassidy model of treatment, from its cut off at age 16 to the adult level and an expansion to include permanent residential care are what is needed for severely autistic adults in NB. As previously noted by former Bernard Lord cabinet minister Tony Huntjens, costs actually favor such a facility and the need is real. For years we have been sending severely autistic adults to a facility not designed for their needs at the Restigouche Psychiatric Hospital and to expensive facilities outside New Brunswick. An adult care facility would end the discrimination against severely autistic adults, reduce costs for their care, bring them closer to families, provide employment for NB'ers and expand NB's status as a leader in autism service delivery. It should happen and NB has seen the right thing done for early intervention autism services and autism trained TA's. FREDERICTON (CNB) - The provincial government has approved a proposal from River Valley Health for ongoing funding to establish a dedicated team at the Stan Cassidy Centre for Rehabilitation to provide services to children with autism, Health Minister Brad Green announced today. "The creation of an interdisciplinary team of health-care professionals with a specific mandate to serve children experiencing severe autism symptoms was recommended by a provincial working group that included community representatives," Green said. "I am very pleased to announce that annual funding beginning at $350,000 will be provided by government to support this specialized team." Green said government recognizes that the provision of services to children with complex autistic spectrum disorders requires the specialized expertise of a team of care providers. "The specialized team will comprise one full-time professional with specific autistic spectrum disorder expertise in each of the following: developmental psychology, occupational therapy, speech language pathology, dietetics, and applied behavioural analysis," Green said. The team will offer functional assessments as well as design, model and perform interventions for children who have the most complex forms of autistic spectrum disorders. It will work closely with families, pediatricians, extramural and hospital-based therapists, educators and all autism support groups to ensure that services are well integrated. Part of the team's mandate will include education, consultation and support to health-care professionals in the province. "We are very pleased by this decision, and look forward to making a significant contribution to the well-being of children faced with the challenges of autism," said Dr. Ron Harris, administrative director of the Stan Cassidy Centre for Rehabilitation. "The presence of a dedicated team with the highly specialized skills needed to address the challenges is a great step forward for New Brunswick." Green said that funding for the team is over and above the $2.8 million the provincial government has been investing annually since 2003 to provide services for preschoolers with autistic spectrum disorders. The Stan Cassidy Centre for Rehabilitation is the only facility in the province with teams of highly specialized health-care professionals and the equipment and technology required to treat patients with complex neurological disorders. The new Stan Cassidy Centre is located beside the Dr. Everett Chalmers Regional Hospital in Fredericton, and opened in June. It was built at a cost of $28 million. NB Adult Autism Residential Care Facility Needed: "It Is More Than Overdue" "When Will They Ever Learn?" that an adult autism residential care and treatment facility is badly needed. Prior to the commencement of the official election period early autism intervention issues have already received some needed attention in a new early intervention policy which provoked considerable reaction and vigorous discussion. What was not mentioned, what has never been mentioned, what never gets any serious attention, is the desperate need for an adult autism centre that could assist in providing providing ongoing training, leadership and supervision for adult autism group homes and assisted living arrangements and would also provided permanent residential care and treatment for those with severe autism disorders. 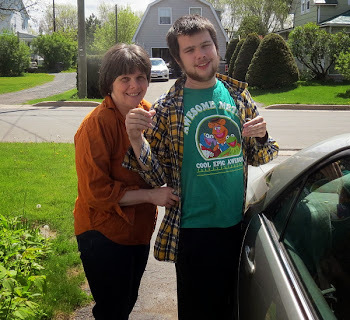 Will Adult Autism Care Issues Be Considered During #nbvotes 2014? totally agree...It is long overdue...could save the province a lot of money, employ NBers, and have the people close at home and family. When will they ever learn? 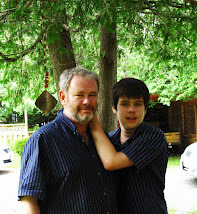 As I have stated many times if an autism centre is not developed to help enhance the group homes and provide permanent residential care and treatment for those with severe autism as Professor McDonnell has advised people with severe autism, including my wonderful, happy 18 year old son, will continue to be sent to live out their lives in Campbellton at the Regional Psychiatric Hospital. Apart from the hospital character of that facility it is also located in a corner of the province 3 to 4 hours drive from most communities in New Brunswick and has no direct access to autism expertise. Previous ASNB member polls on the desirable location for an autism centre saw votes for Fredericton for several reasons, the two most critical being proximity to the autism expertise developed at UNB and the Stan Cassidy Centre, and the central location providing easier access for most families to their loved ones who would reside there temporarily and in some cases permanently. 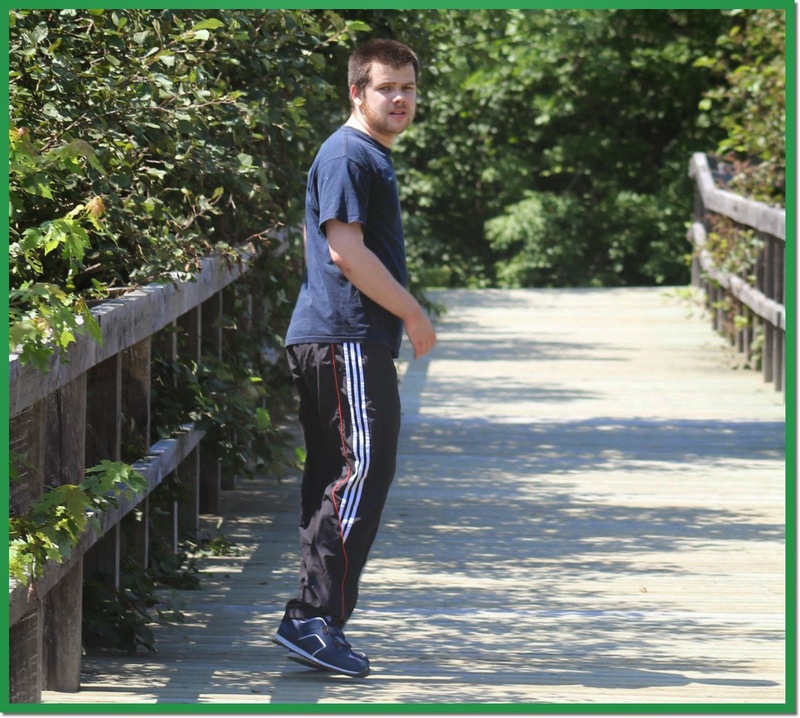 As it is those with severely autistic adult loved ones currently travel out of province or to the Restigouche Psychiatric Hospital on NB's Quebec border. Will NB ever learn to save money and help our severely autistic adults by building a residential care and treatment facility in Fredericton or will we continue to spend money sending them out of province or send them far from family on the NB-Quebec border? New Brunswick election 2014 is underway with the NDP, Liberal, Green and PANB parties going all out to replace the PC party. Party signs are proliferating around the city of Fredericton. The Liberal Party kicked off big time in Fredericton with special guest federal Liberal leader Justin Trudeau and provincial leader Brian Gallant. It was a lively, well organized event and the optimism was clear. I enjoyed my brief chat with the charming greeting ladies pictured outside the Fredericton Ex building. In a general sense I enjoy elections, I firmly believe, despite the many legitimate bases for criticism that they are the foundation of our amazing freedoms that our soldiers have fought for and died to preserve. There are many important issues in this election as in many others. It will be easy for our political party leaders to overlook the needs of adults with complex severe autism disorders for whom group homes are not always an option. In the past our "inclusive", "community" oriented province has sent severely autistic adults out of the province or to the psychiatric hospital on our northern border with Quebec far from most families in the much more heavily populated south of New Brunswick. 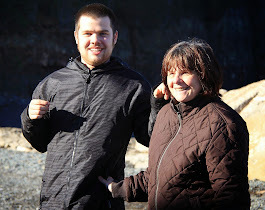 Maybe, just maybe, beginning with this election, our leaders will accept the reality that NB includes severely autistic adults in need of permanent residential care in a facility with professionally trained staff and oversight, a facility located in Fredericton close to the autism expertise developed at the Stan Cassidy Centre and the UNB-CEL Autism Intervention program. Dr. Weitlauf and her co-authors are members of the Vanderbilt Evidence-based Practice Center. It's one of twelve federally funded centers conducting scientific reviews to help patients, clinicians and policy makers make informed decisions about healthcare services. Their review updates a 2011 report that noted gaps in the research needed to assure the effectiveness of often-costly autism therapy programs. In particular, they examine new scientific findings on the effectiveness of intensive early intervention therapies based on applied behavioral analysis (ABA). Their update includes 65 studies published since the 2011 report. “This review speaks to the clear consensus on intensive early intervention,” comments developmental pediatrician Paul Wang, Autism Speaks senior vice president for medical research. “Kids with autism clearly benefit from these behavioral interventions, and we need to make sure that they’re provided. Lorri Unumb, Autism Speaks vice president for state government affairs, notes the importance of the new report for advocacy efforts. “The new Vanderbilt study further reinforces the overwhelming record of evidence supporting the efficacy of Applied Behavior Analysis in treating children with autism,” she says. “In study after study, ABA continues to be confirmed as a beneficial intervention that can vastly improve the lives of kids with autism. And with each study, insurance industry claims that ABA is somehow ‘experimental’ become ever more untenable.”"
Here in Canada parents have argued for more than 15 years for government provided ABA treatment for autism based on the studies reviewed at different points in time by the US Surgeon General, the MADSEC (Maine) Autism Task Force Report, and the American Academy of Pediatrics. Now recent studies published in the Canadian Medical Association Journal (January 2014) and this review by the US Agency for Healthcare Research & Quality Research further strengthen the evidence basis of ABA as an effective autism treatment. None of this is likely to matter to strident anti-ABA Advocates but for government service providers and parents of autistic children this further strengthening of the evidence basis in support of ABA for autistic children will provide yet more guidance in how to help autistic children. 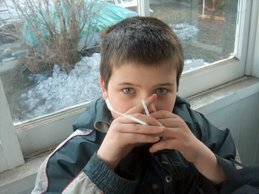 André Picard is a Globe and Mail public health reporter with the Glboe and Mail which is promoting the Son-Rise Program®, a purported autism program with almost no evidence based support of its effectiveness, a program which is not even mentioned in the recent CMAJ (2014) article or the (2007) AAP (reaffirmed 2010) autism reports reviewing the evidence, or lack thereof in support of various autism treatments. 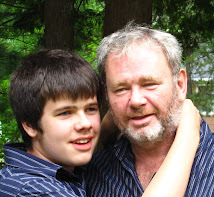 The 2000 MADSEC (Maine) review did expressly assess Son-Rise Program® as described in my initial commentary on this somewhat startling embrace by the Globe and Mail of a weak to non evidence based autism "treatment". By tweeting his papers opinion that "Science has yet to catch up with this particular therapy. But for some families, it's breaking through the walls of autism" Picard appears to have condoned his papers rejection of evidence based autism treatment in favor of emotionally appealing anecdotal heart tugging stories which prompt emotion to trump evidence and analysis. Picard is entitled to his own opinions. Unfortunately his opinions reach and influence many Canadian parents whose autistic children may be exposed to the risks of lost development time if their parents abandon evidence based autism treatment for the as yet still weakly evidence supported Son-Rise Program®. Health care utilization and costs are substantially higher for children and adolescents with ASDs compared with children without ASDs,89–91 and available data suggest that mortality is increased as well (standardized mortality ratio: 2.4–2.6).92,93 The increased mortality in ASDs is thought to be largely, but not completely, accounted for by the increased mortality associated with mental retardation and epilepsy. 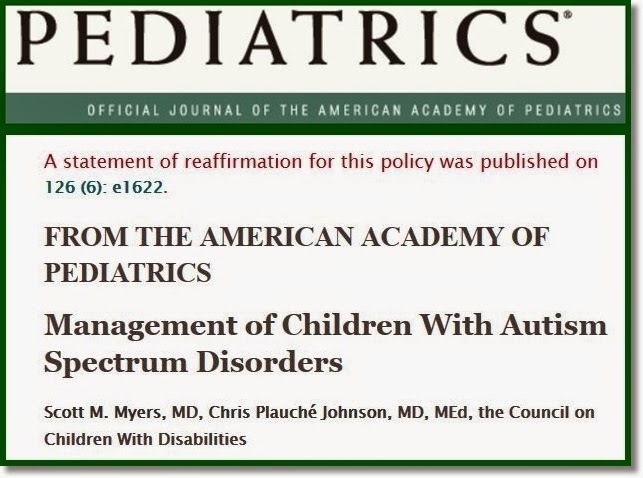 The above information from the American Academy of Pediatrics, Management of Children With Autism Spectrum Disorders, autism policy statement 2007, reaffirmed 2010, makes it clear that the challenges facing those with severe autism and their families includes substantially higher costs and increased mortality. 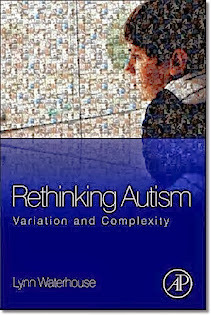 Some very, very high functioning autistic persons like Ari Ne'eman, John Elder Robison and others make careers lecturing government, media, professionals, even institutions of higher learning, about autism and dictating how society should see and deal with all autistic persons, including the severely autistic with whom they have so very, very little in common. The result is a lack of attention to, and provision of services to, meet the short and long term needs of those who suffer from, severe autism disorders. For many high functioning autism self advocates, having received an Autism Spectrum Disorder diagnosis, they no longer consider autism to be a disorder. They are reinforced in their irrational denial by mainstream media who love to publish autism feel good stories. References to Einstein, Van Gogh and every historical talent and genius you can think of routinely include mentions of suspicions that they were autsitic although they lived before autism was recognized to exist. Charities seeking to maintain their charitable tax status and otherwise ingratiate themselves to governments and donors like to emphasize the "positive" and in some cases actually attack parents who speak honestly about their own children's severe autism disorders. 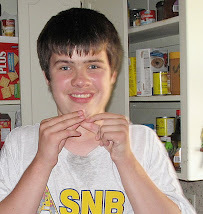 In all these cases those like my son who live on the severe end of the autism spectrum of disorders are invisible. 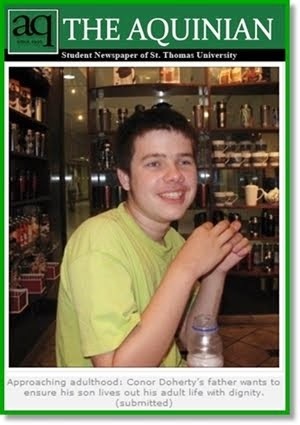 For the invisible severely autistic the only times they are even mentioned in the media is when tragedy strikes, when a child wanders from home to nearby swimming pools, lakes or busy roadways. Otherwise, they might as well be literally invisible. Their needs will not be addressed. Even mention of their severity, even the concept of severity will remain verboten. 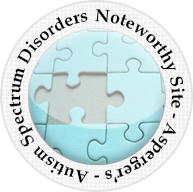 One necessary first step is to reverse the serious DSM5 mistake of combining, with no evidence basis, the various pervasive developmental disorders into 1 Autism Spectrum Disorder so heterogeneous in nature it makes the new ASD a useful tool for continuing the historical trend of "autism" studies of high functioning autistic subjects that at the same time exclude the severely autistic. 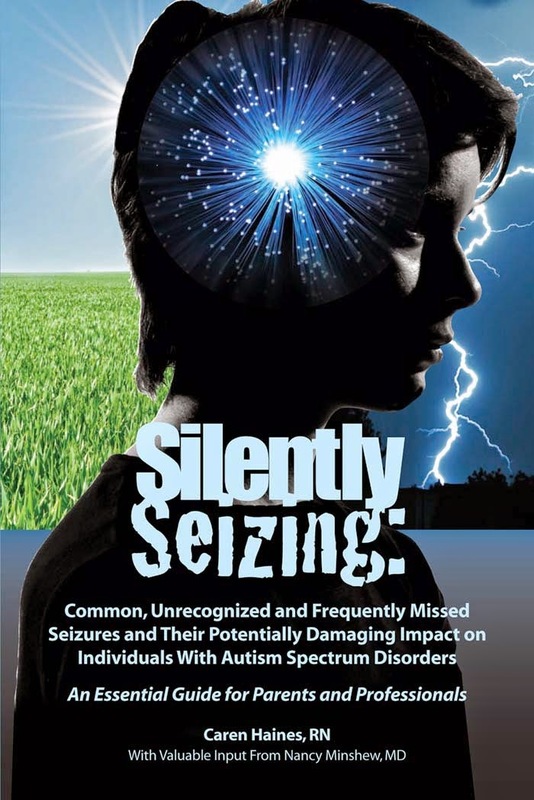 The new ASD also gives legitimacy to the very, very high functioning career autistics who, with the mainstream media and money seeking charities, suppress knowledge of severe autism realities and with that suppression contribute to societal oppression, by ignorance, of the severely autistic. I will speak out and condemn, as long as I am alive, the suppression of the truth about the realities faced by those with severe autism disorders and their families. It may not make a difference in the upside down, distorted world of autism "awareness" but I will try anyway. 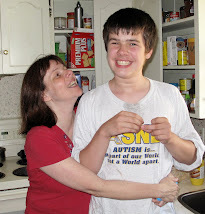 I owe it to my severely autistic son to do so.